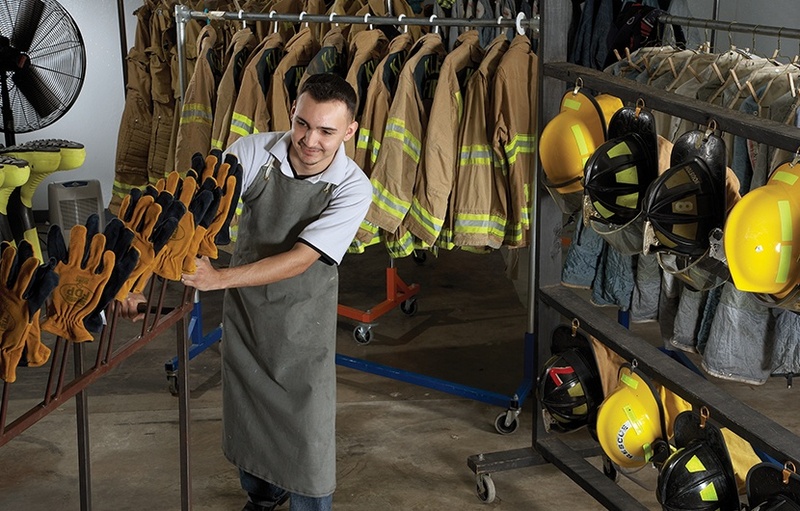 Soiled gear can pose a health risk to firefighters. Smoke deposits and condensed residue can become trapped in fibers and remain there until cleaned, leaving you at risk to secondary exposure to cancer-causing chemicals and gear that may not provide you with protection when you need it most. Detecting damage on your gear early via regular inspections can help prevent ongoing degradation, as well as identify signs of failure before they become a safety issue or lead to irreversible damage. 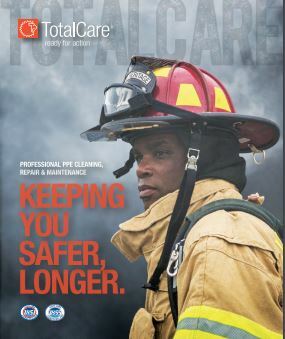 Help enhance firefighter safety and save your organization money by extending the life of your PPE through regular cleaning, inspection and repair with LION TotalCare. When you use LION TotalCare, you are choosing to partner with a company that has over 20 years of experience in helping to keep you safe. 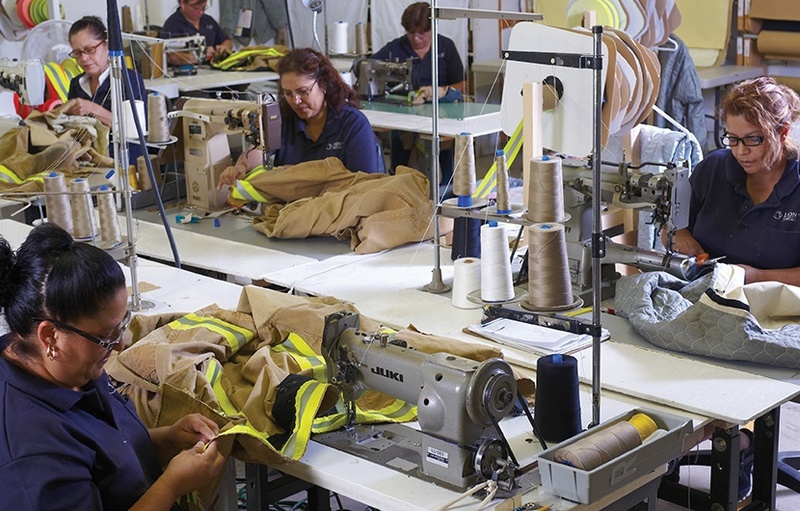 As a Verified Independent Service Provider for all components of turnout gear, all of our repairs are NFPA-certified. We offer Advanced Cleaning, Decontamination and Biohazard Disinfection, all of which are performed by trained and experienced professionals. 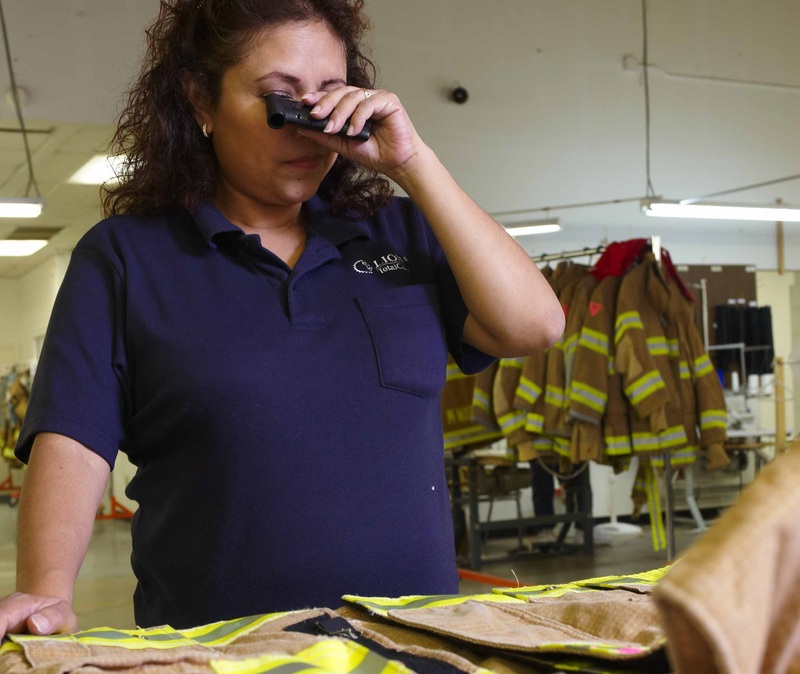 Through advanced inspection, including complete liner inspection, we are able to identify damage and safety issues before they become a hazard to the firefighter. Early detection of damage on your gear through regular inspections can help prevent ongoing degradation, or identify signs of failure before it becomes a safety issue or leads to irreversible damage. Regular repairs can keep PPE in serviceable condition, and extend its safe, usable life, which significantly lowers PPE replacement rates. As a Verified ISP for all components of turnout gear, our repairs have passed testing by a certification organization. Our repairs are designed to meet your original specification on ANY brand of turnout gear and other PPE.